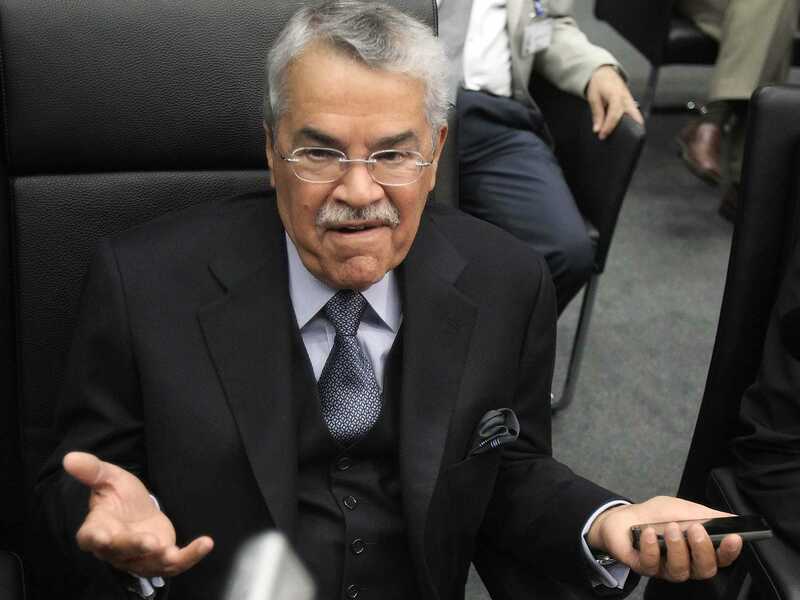 REUTERS/Heinz-Peter BaderSaudi Arabia’s Oil Minister Ali al-Naimi. Saudi Arabia is widely believed to have been the major reason why OPEC elected not to cut oil production at its key meeting on Thursday. The news sent oil prices tumbling, with both Brent and WTI crude hitting lows not seen since 2010. Yet while a number of commentators hailed the decision as a “victory” for OPEC’s largest member against pressure to cut from its fellow oil producers both within and outside of the cartel, it comes at a cost for the Saudis. Indeed, according to research from the International Monetary Fund (IMF) from September, persistently low oil prices could quickly start becoming a problem. The fiscal position in Saudi Arabia is currently very strong. Fiscal outcomes have been favourable in recent years and government deposits at SAMA have increased to around 60 per cent of GDP, sufficient to cover 20 months of spending, while government debt has declined to only 2¾ per cent of GDP. In addition, the government has considerable assets in the form of ownership stakes in many companies. The government’s ambitious spending program, however, could significantly erode the buffers that have been built up and increase vulnerability to a drop in oil prices. 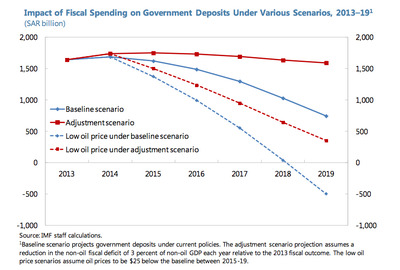 In practice, this means that on current spending plans if oil prices were to drop by $US25 below the baseline forecast in 2015 and remain lower until 2019 the kingdom would have exhausted deposits held by the central bank by 2018. This would leave Saudi Arabia more vulnerable to further price shifts in the oil market and less able to play the maintain its position as a key provider of regional stability. And here’s the problem. The baseline scenario is for the average oil price of $US105 a barrel this year, $US101.6 a barrel in 2015 and $US97.7 a barrel for 2016. 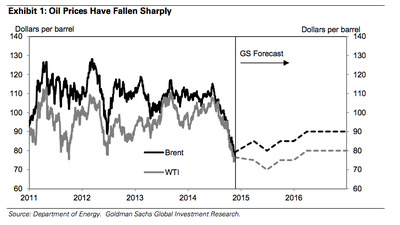 Unfortunately, with oil prices in freefall these forecasts are being quickly revised downwards. 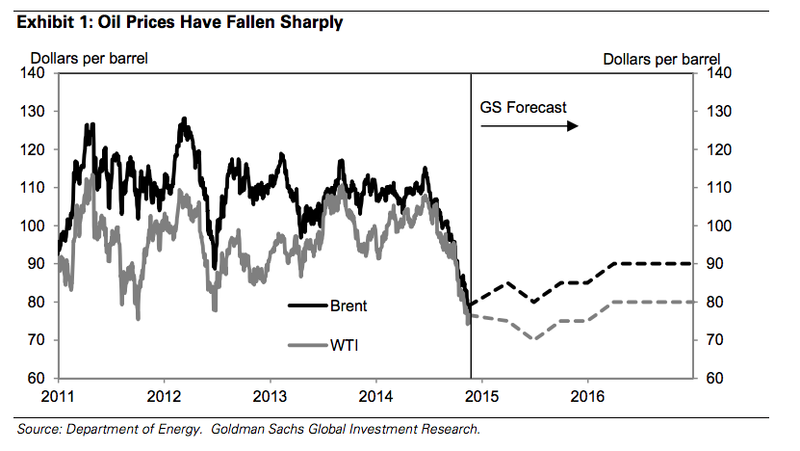 However, Goldman Sachs forecasts that WTI crude is likely to trade close to $US70 a barrel next year rising to only $US80 a barrel in 2016 with Brent crude closer to $US85 and $US90 respectively. Those would be substantially lower than the IMF’s baseline. What does this mean? In the short term, Saudi Arabia might be able to weather lower oil prices in order to maintain its market share in the major US market. Yet the longer current levels last the more damage they are likely to do to the country. 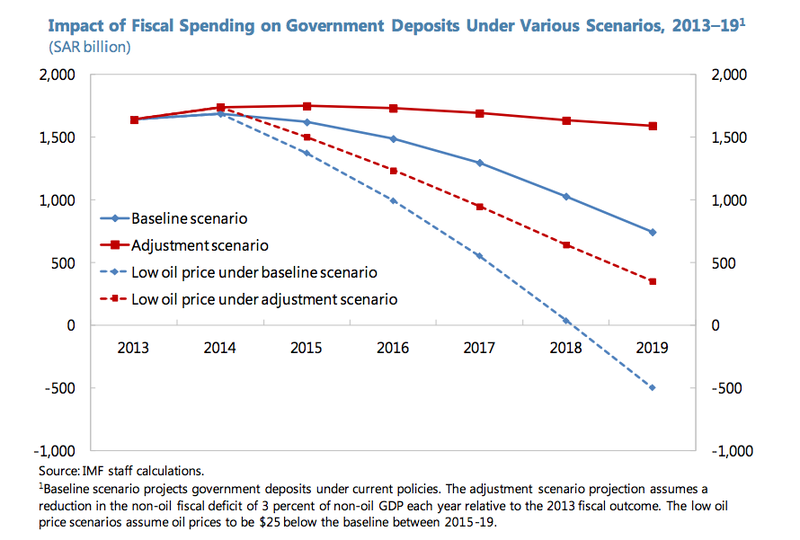 As the IMF puts it, “a longer-lasting and more pronounced decline in oil revenues would require…substantial adjustment in government spending”. Depending on how the oil market responds over the next few months, the next meeting of OPEC members scheduled for next June could be very interesting indeed.